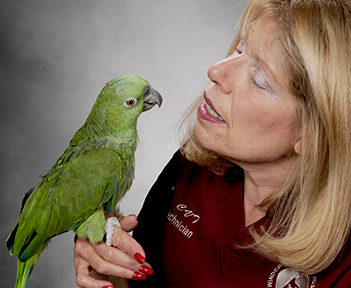 The Association of Avian Veterinarians is an international professional veterinary organization that strives to advance and promote avian medicine, stewardship, and conservation. The AAV has more than 1500 members comprised of veterinarians, veterinary technicians, veterinary students, and allied professionals that work in private practice, colleges and universities, zoos, government, and industry. Many of the AAV’s members are considered global leaders in avian conservation and wild bird health. Among the key objectives for the organization, the AAV strives to preserve and protect birds in the wild and their native habitats, including globally threatened and endangered species. The AAV opposes H.R. 2603, also cited as the “Saving America’s Endangered Species Act” or the “SAVES Act.” H.R. 2603 is a bill that would remove federal protections given to nonnative species listed as threatened or endangered on the US Endangered Species Act (ESA). The ESA is one of the most powerful pieces of conservation legislation in the history of the United States, and it has helped to save many native avian species from extinction including the California condor (Gymnogyps californianus), wood stork (Mycteria americana), peregrine falcon (Falco peregrinus), and bald eagle (Haliaeetus leucocephalus). The United States is considered a global leader in international conservation efforts. Global conservation has become increasingly important as worldwide biodiversity is declining. Without oversight and regulation, the United States could open the door for inappropriate or inhumane movement, breeding, and hunting of globally threatened and endangered species including birds. If you have any questions, please do not hesitate to contact our Executive Director, Dr. Robert Groskin at rgroskin@aav.org.